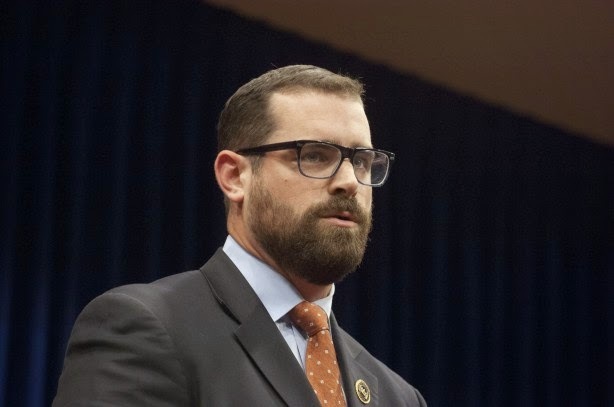 Brian Sims is an American politician, policy attorney, and advocate for civil, women's, and LGBT rights. Sims is the first openly gay elected state legislator in Pennsylvania and the first (and so far only) openly gay college football captain in the NCAA when he was co-captain at Bloomsburg University in 2000. Sims is passionate about a broad range of LGBT issues and also happens to be an informed and enthusiastic advocate on environmental, diversity, and social justice issues. Sims is the son of two Army Lieutenant Colonels and has lived in seventeen states, including Alaska, before settling in Pennsylvania. Sims received a BS in Business Administration from Bloomsburg University in 2001 and his J.D. Degree in International and Comparative law at Michigan State University College of Law in 2004. Before his election to the Pennsylvania State House of Representatives, Sims served as staff counsel for policy and planning at the Philadelphia Bar Association. He as also a member of the national campaign board of the Gay & Lesbian Victory Fund and chairman of the Gay and Lesbian Lawyers of Philadelphia. Sims is a frequent online contributor to The Huffington Post, The Advocate, and Philly.com and also appears regularly on MSNBC, NPR, and other media outlets. Sims currently is on the Boards of the Ben Cohen StandUp Foundation and Campus Pride. He is also a member of GLSEN Sports Advisory Council and a participant in Nike's Sports Summit.